Peninsula Community Chapel (PCC) was founded in 1983 as a church plant of Tabernacle Church of Norfolk (Tab). A home group from Tab was already meeting on the Peninsula and Tom Kenney was called to pastor the new church plant. 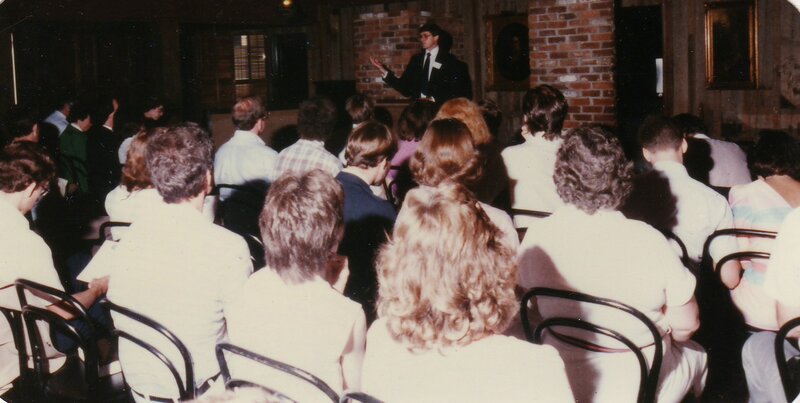 The first congregants rented a meeting room in the Holiday Inn in Newport News until in 1986 an opportunity closer to the center of the Peninsula opened up at the Ramada Inn (now Crown Plaza) on Route 17 at I-64. At the Ramada Inn, the church met in conference rooms most Sundays but occasionally had to utilize the hotels night club space (still smelling like alcohol & smoke) on some Sunday mornings. Whenever there were baptisms, the congregation moved to the covered pool area and held the baptisms in the hot tub (sans bubbles). Children's ministry supplies and sound equipment was kept in a broken down van parked behind the hotel until that van caught fire one weekend. 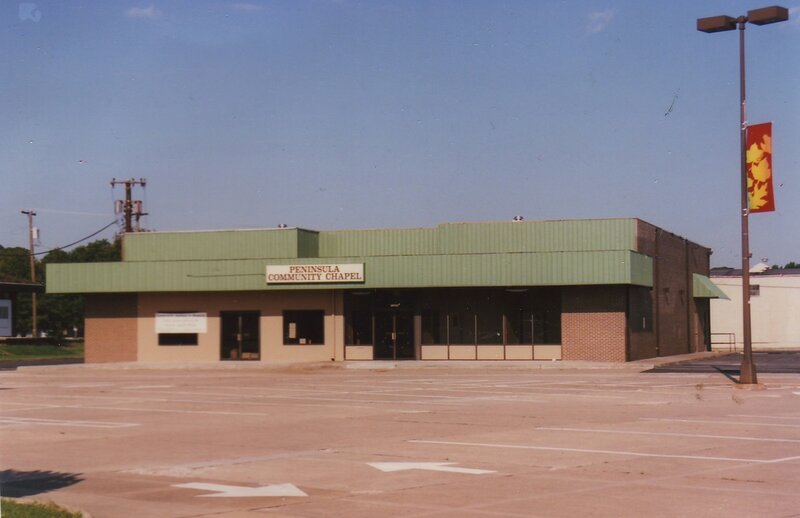 In 1989 as PCC continued to grow, space opened up in a shopping center in the Hilton Village area of Newport News in an out-parcel that was formerly a movie theater and then a Gold's Gym. With mirrors on almost every wall left over from the fitness center, PCC moved into the first space we had ever had where we didn't have to tear everything down and put it away each week. In 1995 fire again played a role in PCC's experience as a burglar broke into the building and set the office area on fire to cover his tracks. Watch the newscast about the fire here. During this time PCC continued to pray for God's provision of land to build a church building with adequate space for a Christian school. In 1995, PCC bought property in York County at the corner of Victory Boulevard & Big Bethel Road. Construction began on the first phase of the new church & school facility in 1999 and the first service was held in the new building in April 2000. As PCC continued to grow, additional parking and modular classrooms were added to the property in 2007. Then in 2010, Phase II of the facility was built adding a gymnasium / sanctuary, much needed classrooms and the cafe community area. 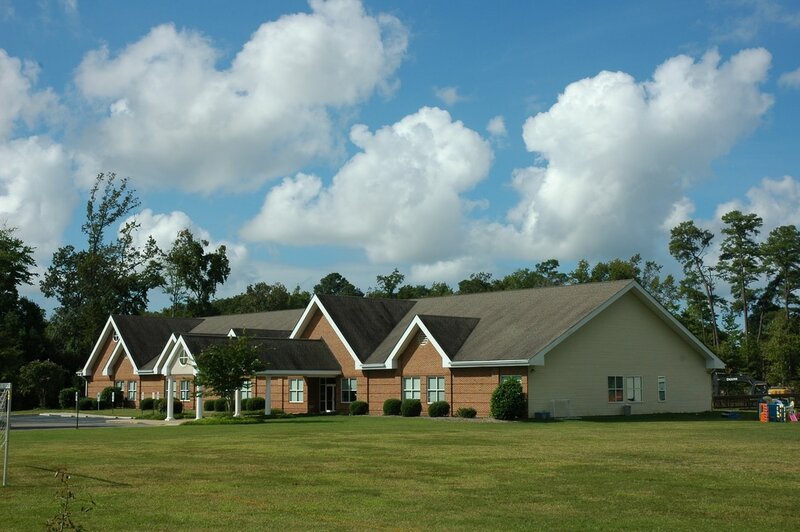 ​Peninsula Community Chapel (PCC) is a church plant of Tabernacle Church of Norfolk (Tab). Tab was begun in the 1940s by a group of people associated with the Christian Missionary Alliance but was established as a non-denominational church. Likewise PCC is non-denominational and broadly evangelical. As a broadly evangelical church, PCC seeks to focus on those aspects of the Christian life most evangelicals hold in common: a high view of scripture, the Lordship of Christ over all areas of life, local and personal evangelism and world missions. PCC maintains close ties to Tab Church and it's other church plants in the Tidewater / Hampton Roads area of Virginia. This group of churches calls itself the 'Consortium.' The Consortium is a group of aligned “sister” and “mother” churches that are united in the vision and focus of being broadly evangelical and committed to global missions. Consortium churches share needed counsel and assistance by working together in global missions endeavors, gathering for special ministry and fellowship events, exchanging pulpits periodically and praying for one another. The Consortium consists of: PCC, Tabernacle Church of Norfolk, James River Community Church, Virginia Beach Community Chapel, Williamsburg Community Chapel, and Community Church of Chesapeake.